I wonder about those who say that Christians should never doubt. It seems to me that they are either lying or arrogant. If they do have doubts, but don’t admit it, they are lying. It is probably more likely that they are arrogant. The arrogant person is one who is never in doubt, but often in error. Of course, there are those who say we should doubt everything. That we cannot be certain about anything. They believe that certainty is arrogance. I once read about a man who had trouble believing anything in the Gospels because they were all written by fishermen. But they were also written by the Holy Spirit. So call me arrogant if you want to, but I am certain that the Bible is reliable in everything it says. And since I know that, I can be certain of many other things the Bible says. But sometimes, I have trouble understanding what exactly the Bible says. And this is where the element of doubt comes in. I believe that everything the Word says is true. I do not doubt the Word. What I often doubt is my understanding of the Word. Thankfully, God does not fault me for this. He doesn’t accuse me of doubting His Word. Instead, He is patient and kind toward me when I have trouble understanding what He wrote. But better yet, He patiently teaches me what His Word means. He doesn’t scold. He schools. He gives evidences and proofs to persuade me of the truth. You see, doubt is not the opposite of faith. Doubt is the opportunity of faith. Doubt is the growing pains of an eager, seeking, learning spirit. Do you have times of doubting? Do you ever wonder if you understand God’s Word correctly? Do not fear. God has ways for you to learn the truth, and for your doubts to be settled. It’s encouraging then to come to a passage like Luke 7:18-23, where we see one of the greatest men in Biblical history experience a moment of doubt. But what is more encouraging still is to see how Jesus responds. Jesus doesn’t berate him. Jesus doesn’t belittle him. Jesus doesn’t rebuke or reprimand him. Jesus just loves him, and gives the man what he needs to overcome his doubt. The man who experiences this period of doubt is none other than John the Baptist. He is the greatest Old Testament prophet. 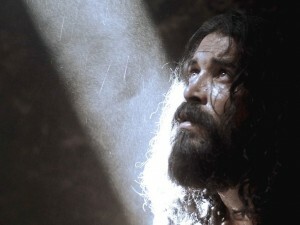 Jesus says of him that of those born of women from creation up till that time, none were greater than John the Baptist. Luke does not give us all the details about John that help us understand his doubt and his fears, so before we look at our text, I want to provide you with John’s condition. First of all, we must understand who John was. In the Old Testament it was foretold that before the Messiah came, a prophet would prepare the way. According to passages like Isaiah 40:3-5, this prophet would be a voice calling in the desert, “Prepare the way of the Lord.” We are told in Matthew 3 and Luke 3 that this prophet was John the Baptist. In Matthew 17, Jesus compared John to the prophet Elijah. This is why John was the greatest person born of women up to that time, and was the greatest prophet. He was the one who would herald the coming of the Messiah. There was no greater task ever entrusted to a human being. And John performed his God given responsibility well. Multitudes came out to the wilderness to hear him preach and to be baptized by Him. Matthew 3:5 says that Jerusalem, all Judea and all the surrounding region went out to him. It was not because he told them what their itching ears wanted to hear. Just the opposite, he preached the hardest message since Jeremiah the prophet. John preached nothing but repentance and confession of sin. One day, as John was preaching, Jesus came to hear John preach. The Gospel of John tells us that when John the Baptist saw Jesus, he proclaimed, “Behold, the Lamb of God who takes away the sin of the world.” He knew who Jesus was, and he knew what his task was – to prepare the way for Jesus. And John performed this task perfectly. Even Jesus was baptized by him. From that time on, John’s influence and popularity began to diminish. Some of his own disciples left him and began to follow Jesus. People stopped coming to hear him preach, and went instead to listen to Jesus. When someone asked how John felt about this, what was his response? He said, “[Jesus] must become greater; I must become less.” He probably didn’t know how much less he would become. Here is what happened. King Herod went to visit his brother, Philip. Philip was married to a beautiful woman named Herodias. Maybe it was her name Herod liked the most. Herod became so infatuated with her, he forced Philip to divorce her so Herod could marry her. The tabloids had a heyday about this most recent political scandal, but John was not amused. Instead, he rebuked King Herod, saying, “It is not lawful for you to have her.” Kings and those in authority never like to be told they are wrong, so Herod arrested John and put him in prison. John was sent to the dungeon of Machaerus, the desert fortress perched high on a desolate, forsaken ridge by the Dead Sea. While there, John began to feel forsaken and forgotten. Though he stood up for what was right, he lost his job, his ministry, and eventually, his head. Herodias liked being married to the king, so one day when he offered her a favor, she asked for the head of John the Baptist on a platter – a la carte. But that happens later. 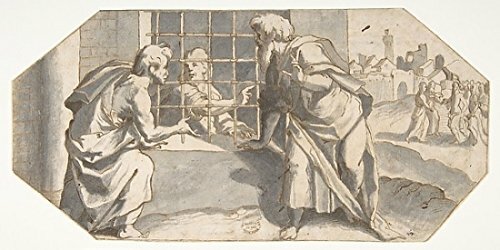 As we come to Luke 7, John finds himself in prison. He does not know what is going to happen to him. But while he is languishing in his prison chains and comfortable stone bed, he begins to get reports about Jesus. The reports are not what he expected. They do not meet his notions of what the Messiah was supposed to be and do. So John becomes confused. In Luke 7:18-19, he sends two of his disciples to question Jesus. He sends them to say, “Jesus, was I right about You? Are You really who I said You were? Are You the Messiah? Did I understand Scripture correctly? Of all the things for the greatest prophet to be confused about, John is confused about the identity of the Messiah. He is confused about Christ. Certainly, while in prison, John received reports about what Jesus was saying and doing. Some of it seemed right – the healing and the miracles. But lots of it was just plain wrong. Going to parties with drunkards, tax collectors and prostitutes – that was not something the Messiah was supposed to do. Turning father against son and mother against daughter didn’t sound right either. Wasn’t the Messiah supposed to bring peace, love and unity? And what’s all this talk about paying taxes to Caesar and blessing those who persecute us? Wasn’t the Messiah supposed to throw off Roman rule and give Israel her liberty? Where were the armies? Where was the attack on Caesarea? Where was the winnowing fan, the axe laid at the foot of the tree, and the fire from heaven as John expected? In Isaiah 40:23-24 it says that the Messiah will “bring the princes to nothing. He makes the judges of earth useless. Scarcely shall they be planted, scarcely shall they be sown, scarcely shall their stock take root in the earth, when He will also blow on them, and they will wither, and the whirlwind will take them away like stubble.” How come that wasn’t happening? John begins to wonder, as he wastes away in prison, that maybe Jesus is not the Messiah. Maybe Jesus is not who John thought. There had been false Messiah’s before. Could it be that Jesus was a false Messiah? In Luke 7:19, John calls two disciples, and asks them to go ask Jesus if He is the promised one, or if they should look for someone else. John refers to the Messiah as The Coming One. He is probably referring to Psalm 118:26 which uses this word (in the LXX) to refer to the Messiah, the One Who Comes in the name of the Lord. This is the same verse the multitudes shout and sing when Jesus enters into Jerusalem on a donkey in Matthew 21 and Luke 19. Psalm 118 looks forward to the coming of the Messiah when He will set up His kingdom. In the chapter, there are also several references to being protected by God and being placed at his side to destroy the nations. This is what John was hoping for. This is what John prayed for. And it was not happening. Just the opposite. His hopes were being crushed. His faith was being weakened. Doubt began to grow. He began to wonder if Jesus really was the One who comes in the name of the Lord. He began to doubt that Jesus was the Messiah. John the Baptist, the greatest prophet of the Old Testament era, the greatest man born to woman up to that time, the one who prepares the way for the Messiah, is doubting Jesus. He is doubting the identity of Jesus. He is doubting the words of Jesus. Jesus has clearly taught that He is the Messiah. That His is the Son of God. But John’s question in Luke 7:19 reveals uncertainty. Do you ever have uncertainty and doubt about Jesus? Do you ever wonder if He really is who He says He is? Do you ever have questions about something He said, or did? Do you ever wonder if He is working on your behalf? If so, you’re in good company. John the Baptist is right there with you. That’s comforting to know that even someone like John had doubts and fears and misunderstandings. If you have ever voiced your doubts or fears to other Christians, very likely you were told that Christians don’t doubt, that true Christians don’t fear, that true Christians don’t question God’s Word or God’s ways. But John doubts just like we doubt. But see how John handles his doubt. What do we do when we doubt? When we doubt, we stop reading our Bibles. We stop praying. We stop spending time with other Christians. Not John. When he begins to doubt, when his faith begins to waver, he reaches out to Jesus for answers. You see, doubt flourishes in the dark. It’s like a mushroom. It thrives on the cold, dark loneliness of the human spirit. In solitude, the questions seem larger, more ominous, more hopeless. John was in a dark cell, where the mushrooms grow. Darkness feeds doubt. But light dispels it. So when in doubt, go where the light is. Do not neglect time with God. Do not ignore your Bible reading. Do not forsake the assembling together of other Christians. When in doubt, get as much light possible into your life. When in doubt, turn to Jesus. That’s a little bit scary – admitting doubt to the one we are supposed to trust. But don’t be scared. For look at how Jesus responds to John. We can be certain that He responds to us in the same way when we doubt. In Luke 7:20-21, Jesus does not rebuke John. He doesn’t reject John. He doesn’t write John off. Instead, He kindly, gently, patiently, lovingly shows John once again who He really is. Jesus confirms that He truly is the Messiah. At first, Jesus doesn’t say anything to John’s disciples. Maybe they were afraid to be the bearers of such a question. Maybe they were scared that Jesus would incinerate them on the spot. Instead, He just seems to ignore their question. He seems to shove them off on the side. As they stand there, nervously shuffling their feet, and casting furtive glances at Jesus, He begins to show them who He is. He doesn’t tell them. He shows them. Luke 7:21. And that very hour He cured many of infirmities, afflictions, and evil spirits; and to many blind He gave sight. Jesus heals people. He cured them of four things. Together, these four things reveal that Jesus healed them of everything that was ailing them, whether it was mental, physical, spiritual or emotional. The one that is most significant in this context, however, is the fourth. To many blind He gave sight. Though Jesus was healing people of their physical blindness, it is also symbolic of how He heals people of their spiritual blindness. Specifically, John’s blindness about who Jesus was. John, sitting in prison, was having trouble seeing Jesus for who He was. He had blind spots in his reading of the Old Testament which made him think that Jesus was not the Messiah. And Jesus, through these signs and miracles is opening John’s eyes. Of course, John was not there to see it personally, but he had sent his two eyes, his two disciples, to witness it for him, and report back to him what they had seen. As they stood there, watching what Jesus was doing, we can be certain that their eyes were opened, and they understood clearly who Jesus was. All Jews knew of the prophecies in the Old Testament that the distinguishing mark that the Messiah had come would be His healing miracles. Isaiah 35:5-6 says that when the Messiah comes, the eyes of the blind shall be opened, the ears of the deaf shall be unstopped, the lame shall leap like dear, and the tongue of the dumb shall sing. These things were happening right in front of John’s disciples. Their eyes were opened. Jesus had not yet said a word to them, but they knew the answer to their question. Their teacher, John the Baptist had been wondering whether Jesus was the Messiah. Jesus gave them ample proof and confirmation of who He was. When you find yourself doubting God, or having questions about who Jesus really was, there is only one place to look for answer. Look to Jesus. When in doubt, don’t deny them. Instead, turn your eyes upon Jesus. And he will graciously give sight to your eyes. In Luke 7:21, where it says Jesus gave sight to the blind, that word for gave is one of the words for grace. Jesus graced them with sight. He freely gave them the gift of sight. And that is what He is doing with John as well. John has doubts. John has fears. John is confused. Jesus doesn’t attack John. Jesus doesn’t condemn him. Jesus doesn’t scold him. He just pours grace upon John and lets him see the truth. John doubted, but he went to the right place for answers. He went to Jesus, and Jesus gave sight to those who were blind, and brought light to those in darkness. He gave to John the answers he needed. John was looking for a conqueror; Jesus conquered with love. John wanted Herod to be punished; Jesus gave healing power to the people. John wanted retribution and retaliation; Jesus gave righteousness and rest. Love, pity, healing, are the true signs, not judicial, retributive, destructive energy. John wanted the lightning; Christ told him that the silent sunshine exerts energy, to which the fiercest flash is weak. We need the lesson, for we are tempted to exalt force above love, if not in our thoughts of God, yet in looking at and dealing with men; and we are slow to apprehend the teaching of Bethlehem and Calvary, that the divinest thing in God, and the strongest power among men, is gentle, pitying, self-sacrificing love. This is Christ’s answer to John’s disciples, and He hasn’t yet said a word. But he finally speaks to them in Luke 7:22-23. If they didn’t get it by now, He shows more grace and makes it crystal clear. If they hadn’t made the proper conclusion on their own, He tells them what their conclusion should be. Just like the signs mentioned in Luke 7:21, all of these in Luke 7:22 are prophetic proof that Jesus was the Messiah. Jesus says that the miracles He performs are adequate answers to John’s questions. So too, when you and I wonder about Jesus, all we have to do is look to Him. Like John, we cannot go see Him, but we can look at Him through the eyes of others. Just as the disciples went back to tell John of what they had seen and heard, so also, we hear about Jesus through the testimony of others. Specifically, we hear it from Matthew, Mark, Luke, John, Paul, and Peter. They tell us what signs He performed, and what conclusions we should draw from them. This is what Jesus is saying to you and to me through Luke in Luke 7:22-23. He said it to John first, but now it is recorded for us. Luke 7:23 literally says, “Don be scandalized.” The word originally referred to the “bait stick” in a trap. Jesus was concerned that John or others, might get trapped out of concern for what Jesus was not doing. Have you noticed as you read the Gospels that most people have nothing good to say about Jesus? He does all these miracles, provides all this food, gives all these Biblical teachings, and the only thing some people can do is complain and criticize that He is not doing the right things. Similarly, there are many in the world who criticize the church for what it is not doing. We’re not being political enough. We’re not helping solve the social problems. We’re not doing enough community service. We’re not helping solve the world’s economic and health problems. Even in the church, there is constant criticism directed at others about what is not being done, what is not happening. Don’t be led into that trap. God is always at work, even to this very day. And Jesus promises us that He would build His church. If He builds it in ways we don’t like, or that we don’t expect, who are we to complain? Don’t look around and complain at everything you think should be done, but isn’t getting done. In such situations, one of two things is true. Either God doesn’t want it to happen, or someone is being disobedient, and that someone is you. If God wants something to happen, and He lays it on your heart, that’s because He wants you to do it, not to criticize everyone else for not doing it. Nor should you criticize others who are serving God in ways you think are odd. John had questions about the way Jesus did ministry. He was a bit offended by Jesus methods. This happens to you and me at times. Maybe you have some preconceived idea about how all church ministries should function, and then someone comes along and does things differently, and you find yourself thinking, “That’s not ministry. They’re not doing it right.” Maybe they are not doing it the way you would do it, but that’s not the same thing as doing it wrong. I read an account this week of a pastor who had a lady complain to him about the church youth group. “It’s not ministry,” she said. “They’re just having fun. They listen to music. They eat food. They play games. That is not what a youth group is supposed to do.” The pastor pointed out that though they did these things, they also had a time for prayer and Bible study. Then he turned over to Acts 2:42 which says that the early church did four things only. They had fellowship, they ate food, they prayed, and they taught the Bible. That sounds more like youth group than the normal church service we experience today. I wonder what would happen to our Sunday school attendance if we had a cribbage tournament, or if we walked out of this room and went and played basketball? Think about it. Since when is ministry not supposed to be fun? One of the reasons I am a pastor today is because when I was in high school and college, I found Christians who knew how to have fun. Sure, we had Bible studies. We had times of prayer. But we also had lots of fun. And I am convinced that Jesus was right there with us. Laughing. Joking. Hanging out. Playing games. If there is one thing we see from the life of Jesus, it is that Jesus welcomes doubters. Do you ever feel like John? You may feel like you are in prison. You may feel like you are neglected. You may feel all alone. Do you doubt? Do you fear? Do you worry? Are things not going the way you thought they would? Is God not acting the way you imagine He should? Maybe some ministry in church is not being carried out the way you think it should. Somewhere, in your feelings of fear, neglect, doubt and worry, is something you have failed to understand about Jesus. He wants to show you what it is. But He can only show you if you look to Him for answers. Does God sometimes not make sense to you? Does it seem that the events in your life do not meet your expectations? Do you doubt that God is really at work? Doubt is not a sign that you are smart. It just means that you don’t have all the information. So turn to Jesus Christ. Ask Him the hard questions. Listen to what His disciples say. He will provide you with hope. Were John’s fears and doubts relieved? We don’t know. The Bible never tells us. The last things we know about John the Baptist is that not long after this event, he is beheaded by Herod. But the question isn’t so much about John, as it is about you. When you face doubts and fears, how will you respond? Have you been confused about something Jesus is doing in your life? You’re in good company. Not only did John have doubts and questions, so did every great man or woman in Scripture. Abraham had questions about how God would fulfill His promise of son. Joseph wandered why God would sell him into slavery in Egypt. Moses wondered why God made him the leader over Israel. Joshua thought there might be a better way to knock down the walls of Jericho than walking around it all week. Job loses his children, his home, his possessions, his health, his wealth – the only thing he’s left with is a bitter wife telling him to curse God and die – and Job wonders why God allowed all this to happen to him. 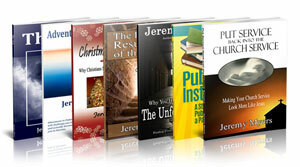 On and on through Scripture these accounts are found. The reasons their stories are included in Scripture is because they don’t let their doubts defeat them. Instead, like John the Baptist, in their time of doubt, they turned to God for comfort, answers and direction. When you have doubts, do three things. First, turn your doubts into questions. Second, turn your questions into prayers. Third, turn your prayers to God. It’s okay to doubt, as long as you turn to Jesus. If you are a true Christian, then you don’t doubt God’s word, because a true Christian has the Holy Spirit in their hearts to lead them to the truth. Trying to read your Bible with a carnal mind is futile because the carnal mind cannot understand Scripture because it is Spiritually discerned 1 Cor 2:10-14. When you read the Bible, you believe in your heart what is written. Abraham believed God and it was credited to him as righteousness( Genesis 15:6) . 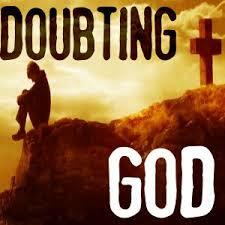 When you doubt, it means you don’t have faith and without faith, we cannot please God( Hebrew 11:6). 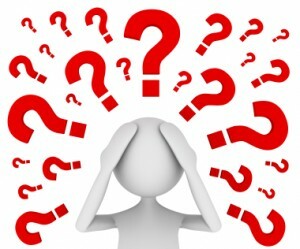 If any of you lacks wisdom, he should ask God, who gives generously without finding fault, and it will be given to him. But when he asks, he must believe and not doubt, because he who doubts is like a wave of the sea, blown and tossed by the wind. That man should not think he will receive anything from the Lord; he is a double-minded man, unstable in all he does. ( James 1:5-8). Going to a place of worship does not make you a Christian, it’s your personal relationship with Christ and studying your Bible with the help of the Holy Spirit and doing God’s will that makes you one. Don’t be led astray by false pastors or whatever they call themselves; look for a Church where the word of God is not contradicted, give your life to the Lord, get baptised and receive the Holy Spirit in your heart and when you pray , do so within you and he’ll hear you. Ask Him questions and He’ll answer you. If we did not need the Holy Spirit, God would not have promised in the old testament(Ezekiel 36:37; Joel 2: 28) and John 14: 13-27. Jesus said do not worry and he means do not worry because he has overcome the world. Cast your cares on him. Just because you are a follower of Christ does not mean you will not face trials and tribulations. If we must share in His glory, we must also share in His suffering(Romans 8:17; Acts 14:22). I pray that the Lord will open the eyes of your understanding of His word. By the way, the word of God is God, it is Christ, it is Light , it is Spirit and it is life. So if you say you are a Christian and yet you doubt, then you are doubting God, Christ and don’t know the God you serve. God is Spirit and they that worship Him, must worship Him in Spirit(in your heart) and in truth. His word is truth. God bless you all. You shed light beautifully to something we all struggle with. If God loves me why do I suffer? If I am serving God why do I lose everything like John the Baptist, who ended up in jail, lost his job and his head? Bottom line is if you agree to walk with Christ you must be willing to adopt the Shadrack, Meshach way of we know God is able to deliver but even if he does not do so, I will not bow to the golden image, which can represent almost the things we desire and or long for, including power, wealth, health, fame, security, etc. Christ loved me enough to secure from hell and all these temporary pleasures being denied of us should not cause us to walk away from such a great faith! !